Directions: Drive HWY 395 North, towards Lee Vining. 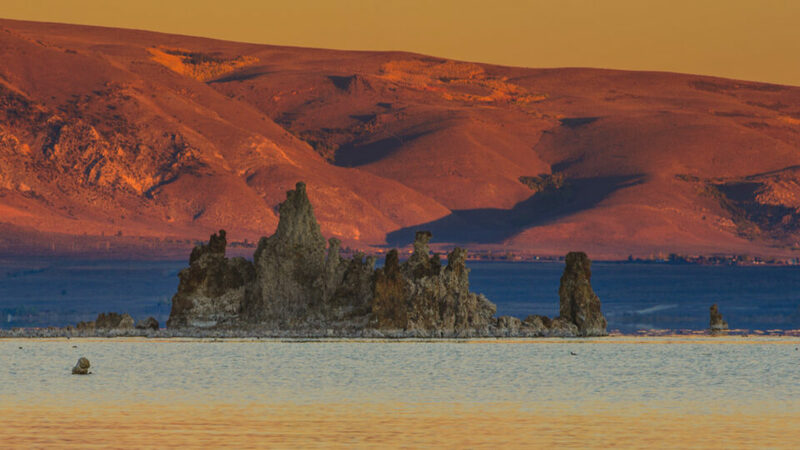 Turn East onto HWY 120 (Mono Lake Basin Road) and drive for about 4.7 miles. Turn left onto Test Station Rd and drive for about a mile, till you reach the parking lot. Road changes into gravel half way - it's passable with any car, just use caution when driving. 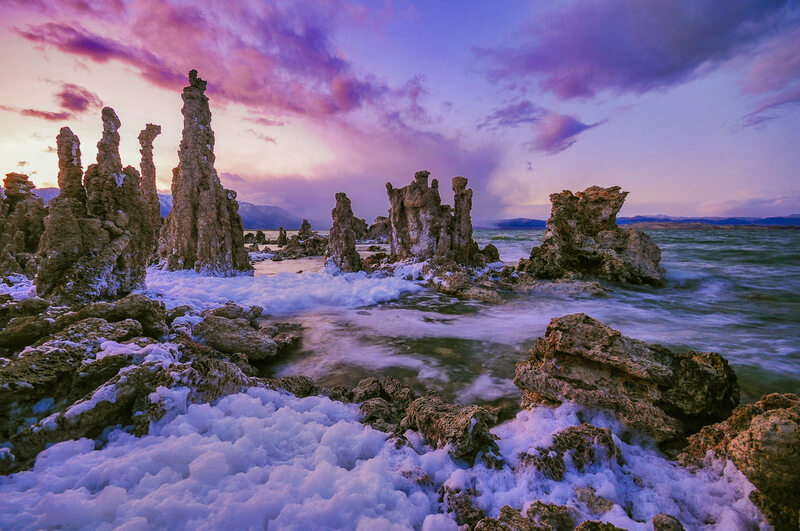 South Tufa is a Federal Fee Area; adults are $3.00, children under 16 are free. Federal Fee Area Annual passes are valid here. There is no shade, so bring a hat and drinking water---the nearest services are 11 miles away in Lee Vining. Spring and Fall are best seasons as well as late summer with some stormy clouds over Sierras. 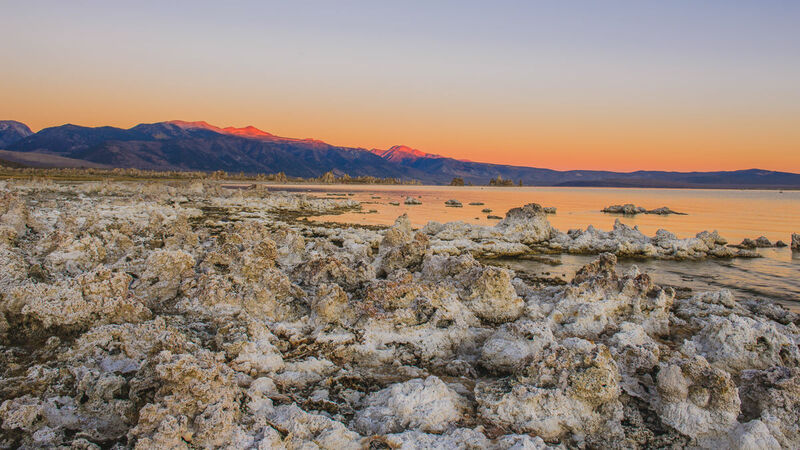 Best time of day are sunrises and sunsets, when the sky and tufa light up in shades of orange and the lake reflects it all. On holiday weekends get there early to secure your best spot, as place may be a bit crowded with other photographers. For more secluded experience visit in winter. 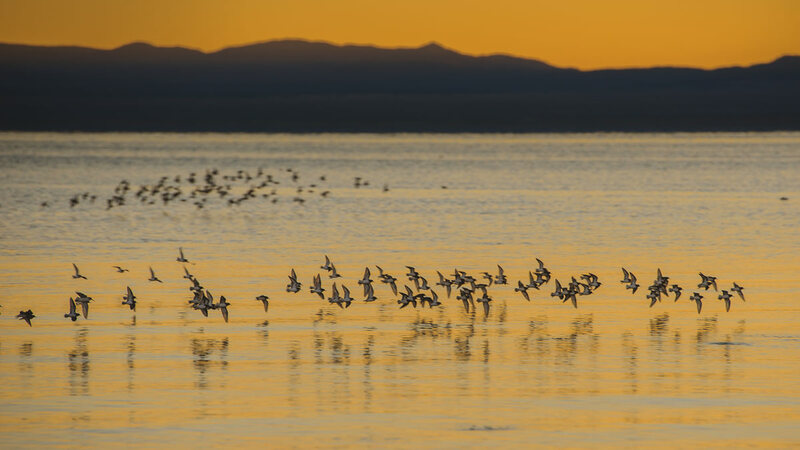 Nearby Nay Beach (turn right from Test Station Rd, just before it turns into gravel, keep left on the next fork) offers a bit different perspective, is more quiet, and has excellent opportunities for bird watching. After photography don’t forget to check Whoa Nellie Deli (gas station on Tioga Rd) for the best food in Eastern Sierra! The pictures are great and the Deli is delicious!! !